This entry was posted in DE and tagged nachrichten on January 4, 2014 by FEMEN. Femen: Veränderung durch nackte Brüste? 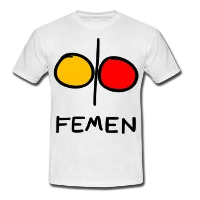 This entry was posted in DE on January 3, 2014 by FEMEN.